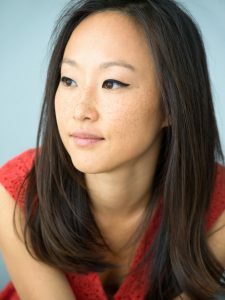 Crystal Hana Kim’s debut novel If You Leave Me was published in August 2018. She was a 2017 PEN America Dau Short Story Prize winner and has received scholarships from the Bread Loaf Writers’ Conference, Hedgebrook, Jentel, among others. Her work has been published in or is forthcoming from The Washington Post, Elle Magazine, Nylon, Electric Literature, and elsewhere. She is a contributing editor at Apogee Journal and is the Director of Writing Instruction at Leadership Enterprise for a Diverse America. She lives in Brooklyn with her husband. Crystal is a new WriterHouse instructor. Please check back after the Fall 2018 term to find out all of the great things our students have to say about her.